The "Big Four" usually refers to the four heaviest/most expensive pieces of equipment - The pack, shelter, sleeping bag and sleeping pad. Usually the place to get maximum weight savings as long as the items meet one's needs. Pack - As you get rid of stuff, and scale other stuff down in size and weight, you might be able to use a smaller, lighter pack. 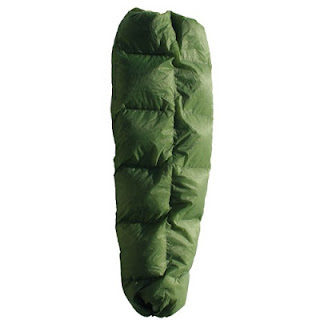 Sleeping Bag - You can carry a mummy bag with a hood and full zipper, or you can go with a backpacking quilt for significant savings in weight and packing volume. 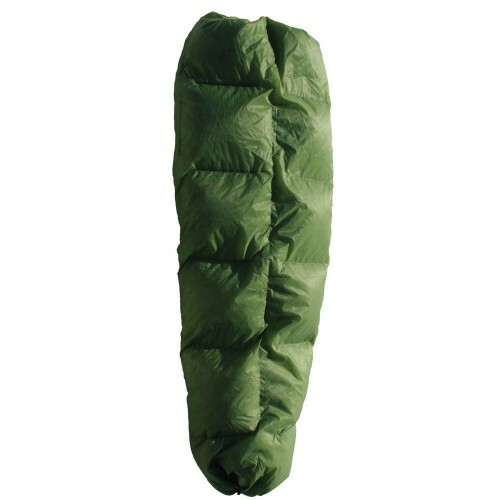 Once you laydown in a sleeping bag, the insulation underneath you is compressed and looses virtually all insulation. So why pack it? Quilts also have no zippers, most have foot boxes for warmth. For side-sleepers like yers truly the quilts make it easy to draw your knees up, and changing sides is much easier than in a mummy bag where one inevitably wakes up sucking a face full of nylon. During the summer, I carry a Mountain Hardwear Phantom +32 Long mummy bag. It's 23 ozs, and packs up pretty small. Enlightened Equipment makes nice an 850 fill down, 6' quilt weighs 19.25 ozs for a 3.75 oz savings for $280. Katabatic Gear, makes a 14.6 oz quilt for an 8.40z for $370! 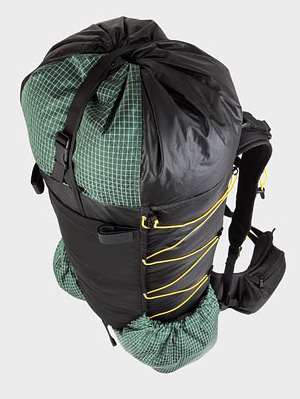 Hammock Gear straddles the two with a 15.25 oz quilt for a 7.75 oz savings for $199. Sleeping Pad - Younguns and back sleepers can live with those really thin, light foam pads. I'm neither young, nor a back sleeper, so I want a pad that will keep my hips off the ground. That means an inflatable. Because I'm hiking in the mountains during shoulder seasons, it needs to be insulated. Shelter - There are a lot of options here - Freestanding double wall, non-freestanding single wall, tarp tents, tarp/bivy systems, hammock/tarp systems ... All made from any number of materials, and all with some serious pros and cons ... We're getting into religion here. I carry a LightHeart Gear Solo. 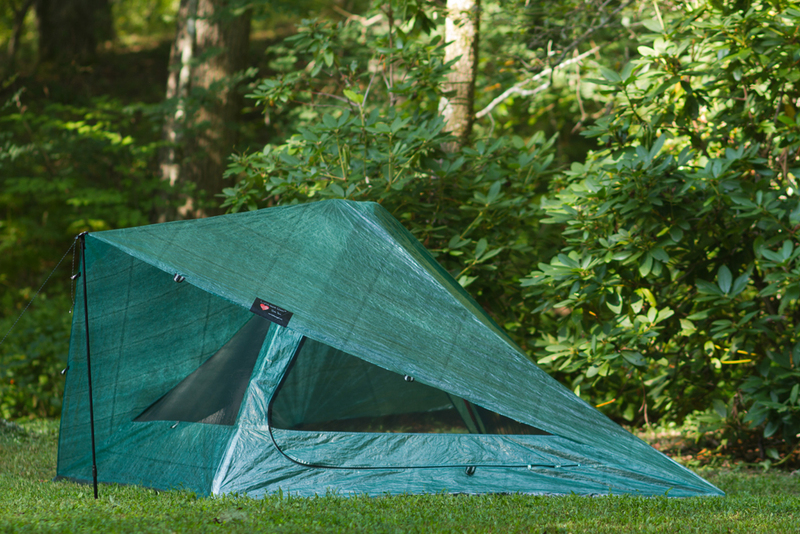 It's made by one of the US cottage industries making the increasingly misnamed tarp tents. It has a bathtub floor, full mosquito netting enclosure and an integrated rain fly. Mine is made of silnylon. It uses my hiking poles to hold it up. All that and only 27 ozs. 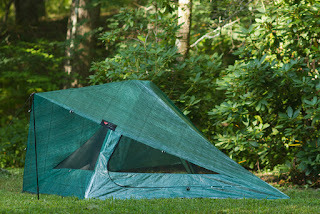 But LightHeart Gear makes the same tent out of cuben fiber weighing 18 ozs for a 9 oz weight savings. Penalty? $532! Last week I lightened my load by taking 9 ozs out of my pack. One could argue that cost me $0/oz. Of course, it costs one a lot less to get it right the first time. "Of course it costs one a lot less to get it right the first time." You're right. I am constantly replacing the items in my kit with "better" stuff. It just never ends. Odd that one goal is to do more with LESS. The adage I just read on the Backpacking North (lifted from Backpacker Mag previously) is apt here, "The more you know, the less you carry." I found this to be very true. The longer I was on the Trail the more I would think about the weight on my back. If I found myself not using something, or coming up with a plan to double-use an item, I'd quickly and happily rid myself of weight! As an example I found using Gatoraide bottles instead of Nalgen, not only were they lighter but if I got to a 'wet' section of trail I could throw a bottle away and only have 2 liter capacity instead of 3 or 4. Also for dry camps I was carrying a collapsible bucket to begin with, but I found using 1 gallon ziploc bags actually worked better and again was lighter and had way more uses. The knowledge gained while walking every day with a pack on your back and all day to think about how great it would be to have a lighter pack is indispensable! I completely agree that removing gear is a much more economical way to a lite pack! I've been using two of the 600ml gatorade bottles for awhile now. They hang from the purpose-built loops on the straps of my ULA Circuit nicely. I also dropped my collapsable bucket, but I replaced it with a pair of 1L Platys. Now one of the Platys has been replaced by the dirty water bag that comes with the Sawyer Squeeze filter system. I think you are right-on in your approach. I switched to a quilt for temps above 35 degrees and wouldn't turn back. Your ability to control temps is much greater with a quilt. I've found that I have far more problems being too hot that being too cold. The quilt excels in its ability to be pushed aside. I just have a couple of other recommendations as you consider the options. 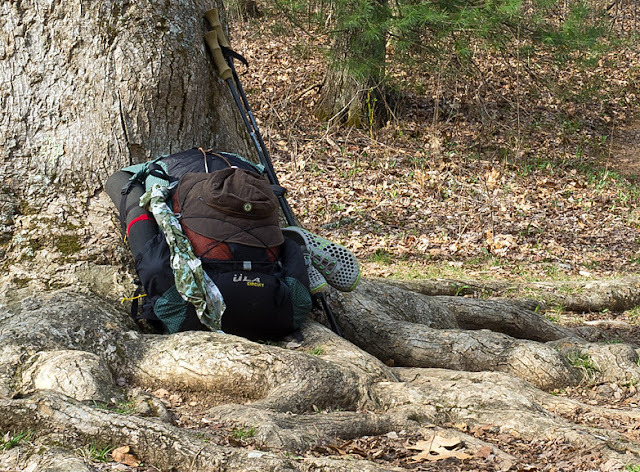 2) Check out Mountain Laurel Designs (MLD) for packs and tarps (if you would consider switching from a tent). The Exodus Pack is builit proof and clocks in at 18 ounces. 3) I've switched to using a bivy and tarp instead of a tent. 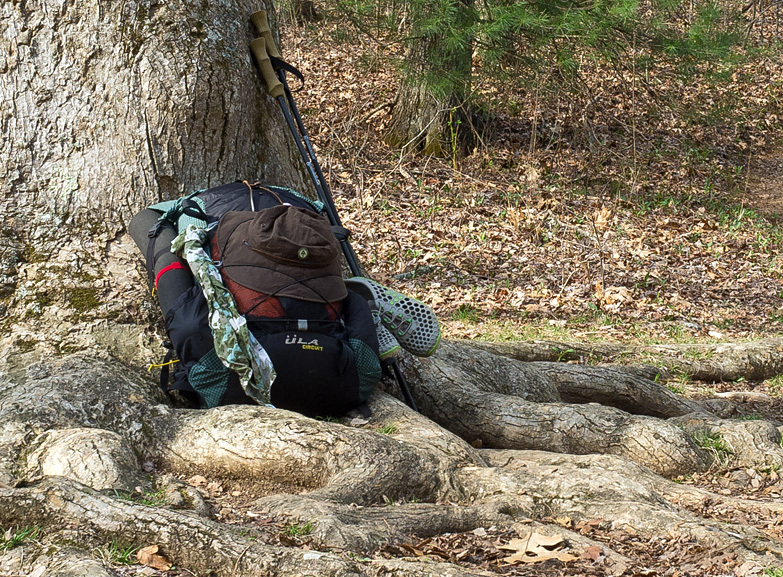 My MLD Trailstar solo (10 ounces) plus superlight bivy (8 ounces). is about as light as it gets. The superlight bivy is water resistant, so it sheds spray, but breaths very well. By going with the bivy, you can protect yourself against the crawly critters in the shelters as well. I've never been happy hiking than I was last year with my lightweight set up. Keeping my pack at 25lbs or less was fantastic. I haven't quite brought myself to plunk down the bucks for a quilt. The Katabatic looks like a great one tho. 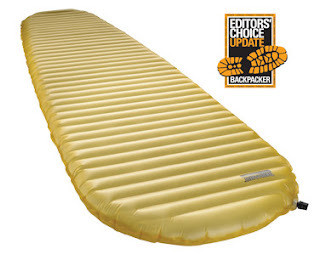 It's considerably more expensive than the Enlightened Equipment, but it's also significantly lighter. I'm pretty happy with my Lightheart Gear Solo. I have a Titanium Goat Ptarmigan bivy w/ full net bug hood that weighs 7ozs, a relatively heavy (11oz) Integral Designs 5x8 SilTarp, and a tyvek ground cloth that's just a few ozs. I do like the idea of having the bivy for shelters, but I also like the privacy, waterproofness, and full bug enclosure of the tent. The penalty for hauling that tent instead of the tarp/bivy/groundcloth is ~8 ozs... A hard trade-off! 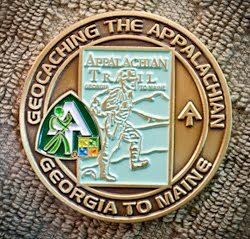 I'm guessing my summer base weight will be around 16 lbs, and with mostly short runs between towns, and lots of places to eat along the trail during most of this summer, I should be able to keep food weight down. Should be a good hike. Thanks for your comments Robin. Hope to see you out there this summer. I've decided to really attack my summer weight, and ordered a ULA Ohm2 and a summer-weight quilt. The quilt is a Burrow 50° in the standard length of 74," with the standard straight taper. Cause I'm a side-sleeper, I asked for the 55" width, which costed $15 extra. The footbox has snaps so that it can be laid out flat. I asked for sewn-in tabs that will help keep it tucked in on colder nights. The start at 13.52 ozs. With the wide width, it'll probably be somewhere around 15, which is an 8 oz reduction at ~$23/oz. 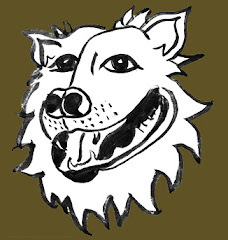 Thanks for yer comments. I'm working on clothing next. Between the potential for freezing temperatures at the beginning of my hike, I need to find the right balance between staying safe and keeping the load light.